The following message from the President and Provost was shared with the Webster University community on Monday, Nov. 26. Updates with memorial service information have been added to the end of this post. We are sincerely sorry to share with you the news of Steve Winter’s death on November 22, 2018. Although recently hospitalized, he had moved to a family member’s home as a result of the serious nature of his health. 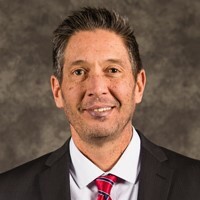 Steve Winter was appointed Webster’s permanent Chief Human Resources Officer in March 2018 after an extensive search to fill the position. He had served as the interim chief since the start of the year. The diversity of experience he brought to the position helped him quickly establish himself as a trusted and valued colleague. The HR team worked effectively with his leadership, and a number of strategic initiatives prospered with his guidance. His positive impact in a relatively brief tenure here increases the sympathy we feel for his family and friends and heightens our sense of loss for a friend and colleague. When more is known about arrangements made by his family, we will share those with you. We will plan to convene as a community to provide opportunity for a time of remembrance for him. A memorial for the Webster University community is scheduled for Friday, Dec. 14, at 1:30 p.m. in the University Center Sunnen Lounge. All are invited to share in the celebration of a life well lived. Visitation: Baue Funeral & Memorial Center, 3950 West Clay, 63301, Saturday December 15, 11:30 a.m. to 1:30 p.m.
Memorial Service: Baue Funeral & Memorial Center, 3950 West Clay, 63301, Saturday Dec. 15, 1:30 p.m.